The Rashtriya Basava Sena on Tuesday claimed that the Lingayat community in poll-bound Karnataka no longer sees former chief minister B.S. 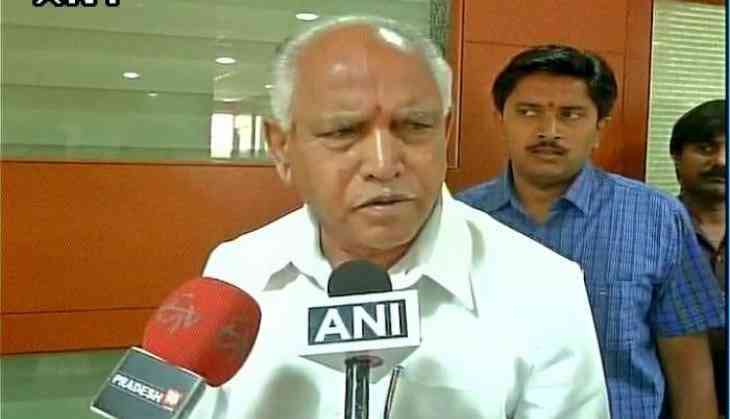 Yeddyurappa as a leader. "Lingayats are not very supportive of the Bharatiya Janata Party (BJP). This is mainly because, in spite of many people bagging seats in 2014, not many ministers were appointed to the central cabinet. While the BJP has indicated Yeddyurappa as its chief ministerial candidate, Lingayats do not see him as a leader and have no faith in him anymore. They are more supportive of incumbent chief minister Siddaramaiah, who has been a follower of Basava philosophy for many years," Rashtriya Basava Sena General Secretary AP Basavaraj told ANI. Ahead of the Assembly polls in Karnataka, the Siddaramaiah-led government in March had declared minority status to the Lingayat community. However, the move was seen by many, including the Opposition, as one to garner votes in favour of the Congress Party. On a related note, Karnataka will go to polls on May 12 to elect representatives to the 225-member state assembly. READ NEXT >> Is Pak ex-cricketer Imran Khan heading for ‘hat-trick’ of divorces?